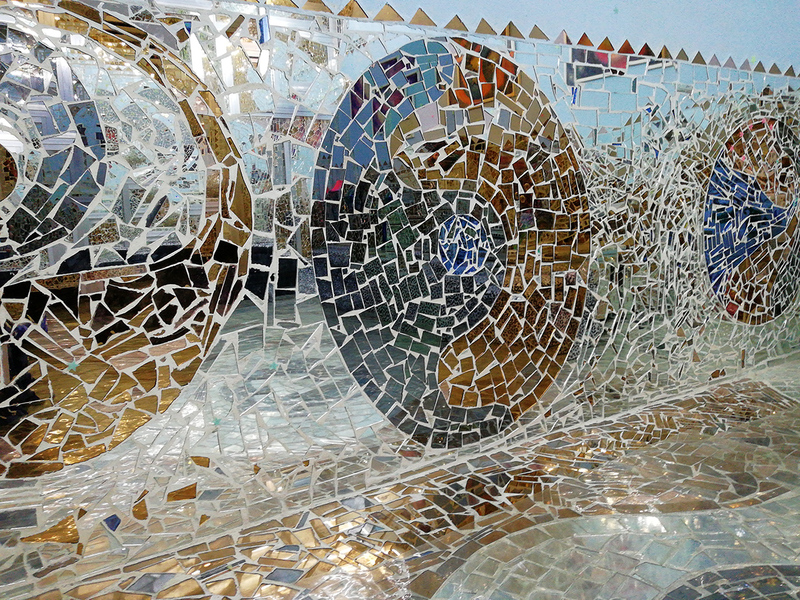 Mirror House boasts radiant and colorful mosaics from inside out. 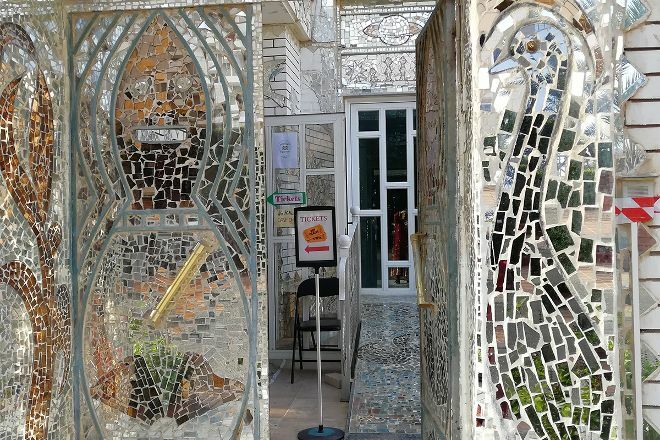 The house exterior sharply contrasts with the suburban neighborhood, while its interior mosaics depict epic themes of earth, universe, sea, and knowledge. 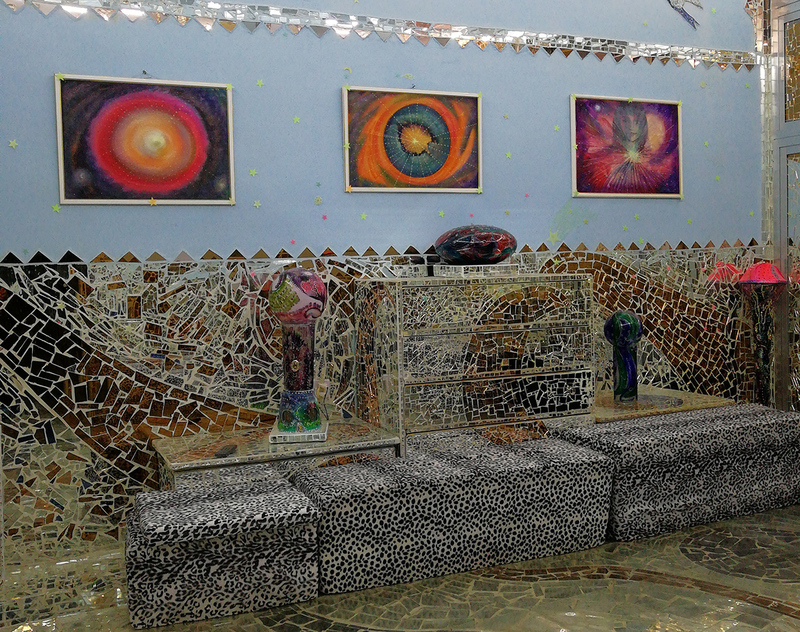 Today, each room is covered with mosaics from floor to ceiling. An art gallery upstairs features works by artists, some of which are for sale. This is a private museum and tours are ONLY possible by appointment! Reservations can be made for a Morning tour between 9 and 11 am. Afternoon reservations can be made between 4 and 6 pm. This is a 2hr guided tour. For travelers who use our international travel planner, Kuwait City holidays become easier to arrange, with trips to the Mirror House and other attractions mapped out and timetabled. Such a unique experience in Kuwait City! Don’t miss it! The house and courtyard are so beautiful and make for a great photo opp! The tour lasts about two hours and the artist is your guide. Fantastic place to visit in Kuwait. Very entertained, respectful house in Kuwait. But for Babies less than 2 years not suitable. 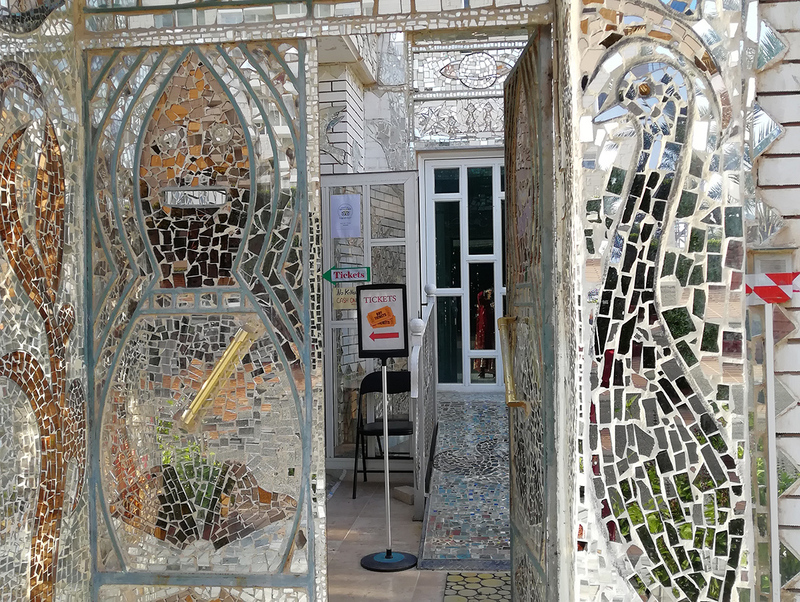 Come for the Mirror House , remember it always for Mrs Lidia Qattan the creator of this wonderful world of her mind. Lovely evening spent with our hosts. Lovely to see the house and the efforts they have put across to maintain it. Inspirational to see the energy. Must visit in Kuwait. Needs prior appointment and takes around 2 hours to finish. Every day, we help thousands of travelers plan great vacations. Here are some tips on how to use your Listing Page to attract more travelers to your business - Mirror House. Promote your permanent link - https://www.inspirock.com/kuwait/kuwait-city/mirror-house-a9149575449 - on your website, your blog, and social media. When a traveler builds a plan from this page, the itinerary automatically includes Mirror House. This is a great way for travelers looking for a great vacation in your city or country to also experience Mirror House. Promoting your link also lets your audience know that you are featured on a rapidly growing travel site. In addition, the more this page is used, the more we will promote Mirror House to other Inspirock users. For best results, use the customized Trip Planning Widget for Mirror House on your website. It has all the advantages mentioned above, plus users to your site can conveniently access it directly on your site. Visitors to your site will appreciate you offering them help with planning their vacation. Setting this up takes just a few minutes - Click here for instructions.